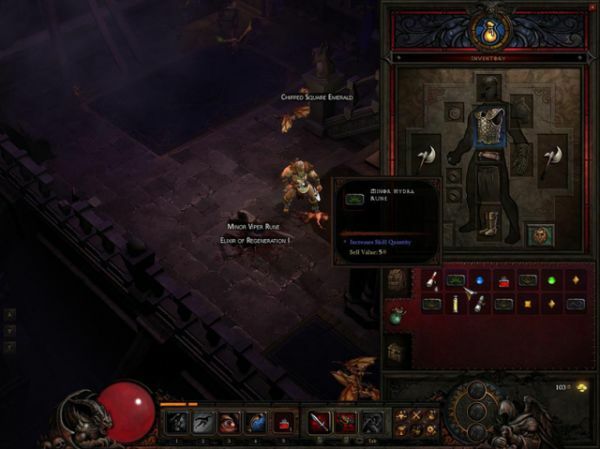 Still more news from Gamescom today, this time, a couple of hands on previews of Diablo III. 1UP and Kotaku both had some time with the demo, and shared their impressions. While the actual content was the same, the previewers chose different classes, barbarian and wizard, respectively. This gives us a bit of insight into the differences between the classes. The barbarian was able to wade headlong through waves of enemies, while the wizard was more effective luring them out a couple at a time. Some details about new enemies were included as well. A dust devil of sorts was particularly interesting, having a knockback attack that also stuns. Giant wasps that spawned tiny minions to attack players look like fun, as well. Both previews mention the atmosphere, which still feels like Diablo. The game looks to be doing everything right, and coupled with the news of Starcraft 2's lack of a co-op campaign, I have a new most anticipated Blizzard game. How about you? Page created in 0.2864 seconds.